Dementia UK provides Admiral Nurses - specialist dementia nurses who give expert, practical and emotional care and support for family carers, as well as the person with dementia. Admiral Nurses provide families with an understanding of dementia and give them the tools and skills to deal with challenges effectively, whilst also providing psychological support to help family carers to carry on caring for their family member. They can also provide referrals to other appropriate services and liaison with other professionals to provide holistic support when it's most needed. Dementia UK also runs a national helpline and email service Admiral Nursing DIRECT, which is for family and professional carers, people with dementia and those worried about their memory. 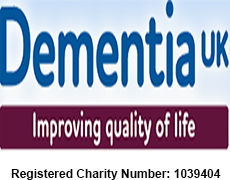 Call 0845 257 9406 or email direct@dementiauk.org. If you would like to help raise funds for Dementia UK whilst at the same time reducing the amount of waste consigned to landfill please use the contact us below. If your items are eligible, please call us on 0333 323 7677 or fill in the contact us form below and we will ensure that your items are recycled on behalf of your chosen charity. Once your free collection is arranged we will send you packing and further instruction. All proceeds go to Dementia UK.